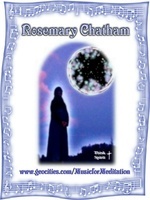 Sign up for Broadjam today to follow Rosemary Chatham, and be notified when they upload new stuff or update their news! Rosemary's music brings over forty years of the love of the musical experience with it. In a catagory by itself, her ability and style are world class, her touch on the Keyboard and Piano - Divine. Do something nice for yourself and listen to "Our Song." It will easily become one of your personal "Top Ten" Love Audios.